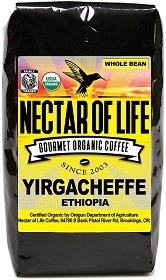 Nectar of Life only roasts Fair Trade coffee. Our coffees are certified Fair Trade by both FLO and Fair Trade Certified. Nectar of Life is a certified coffee roaster by Fair Trade USA, and we are a roasting partner of Catholic Relief Services (CRS) Ethical Trade. Paying farming families a fair price for their harvests, providing them with a decent living wage. 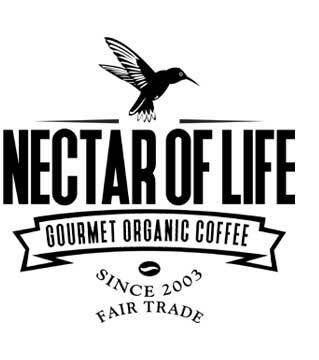 Nectar of Life is proud to participate in the CRS Ethical Trade Program, and will donate a percentage of your purchase to the CRS Fair Trade Fund to support groups of disadvantaged farmers and artisans overseas. 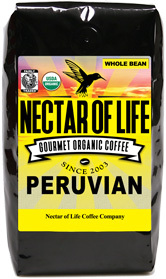 So when you buy Fair Trade coffee from Nectar of Life through the CRS Ethical Trade Program, your purchase gives twice: the farmers who grew your coffee get a fair price, and you support the work of CRS on behalf of low-income farmers and artisans around the world! In addition to giving no less than 2% of sales through CRS Ethical Trade we donate $1.00 for every bag of Nectar of Ice sold. Catholic Relief Services works overseas to provide assistance to struggling low-income coffee farmers. Here in the United States, CRS supports those farmers by promoting Fair Trade - an alternative system of international trade that is rooted in the principles of human dignity, economic justice and global solidarity. By ensuring that farmers earn a fair price for their coffee, Fair Trade helps struggling small-scale farmers to put food on the table even as world coffee prices reach historic lows. By ensuring that these farmers get access to credit and technical assistance, Fair Trade helps them to survive in a competitive international market. And by building long-term relationships with the low-income coffee farmers who grow the coffee you drink, Fair Trade helps make meaningful connections between producers overseas and socially conscious consumers like you here in the United States. So when you purchase Fair Trade coffee, you are not just buying great coffee. You are helping to build a better world, one cup at a time! 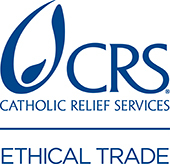 CRS Ethical Trade and CRS as a whole is an extremely positive force in our world. We highly encourage you to check them out and consider giving a donation to one of their many worthy causes.